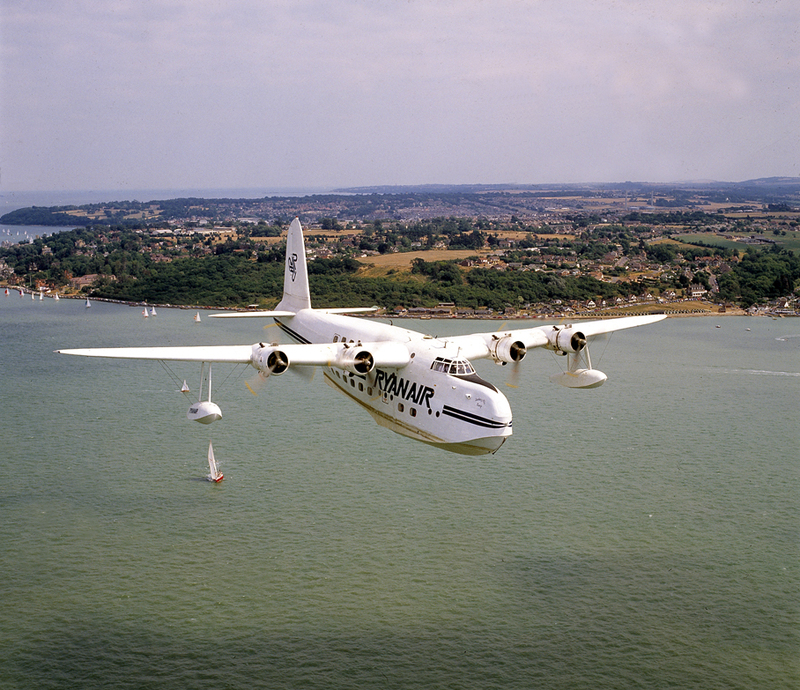 The Short Sunderland was developed from the Short ‘C’ Class flying boats operated by Imperial Arways in the 1930s. The Sunderland saw extensive service during WWII flying with Coastal Command, monitoring convoys and defending them against U-Boat attack on long flights over the Atlantic. This aircraft was shot flying down The Solent. It gained the ‘Ryanair’ title because, before its present incarnation as a no-frills airline, it was briefly sponsored by them. I have had many glorious aircraft flying alongside me but this Sunderland ranks up there with some of the best sights to see alongside.